The settlement of Aguateca, Guatemala, rapidly abandoned at the end of the Classic period (ca. AD 810), provides archaeological insight into the political, social, and economic lifestyle of Maya elite. Located at the southern end of the Petexabatun region, Aguateca is unique amoung Classic Maya sites, primarily as a result of its Pompeii-like level of preservation. 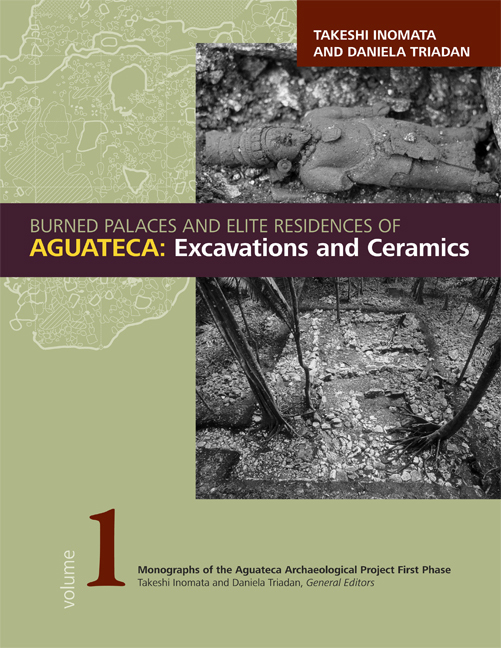 Burned Palaces and Elite Residences of Aguateca advances Maya archaeology by documenting the function of multiroomed masonry buildings and providing vivid models of daily life of the Classic Maya elite. This volume, one of a three-volume series, is the definitive report on Aguateca. Takeshi Inomata is director of the Aguateca Archaeological Project and an associate professor of anthropology at the University of Arizona. Daniela Triadan is co-director of the Aguateca Archaeological Project and an associate professor of anthropology at the University of Arizona. She is also a research assistant with the Smithsonian Insti-tute.